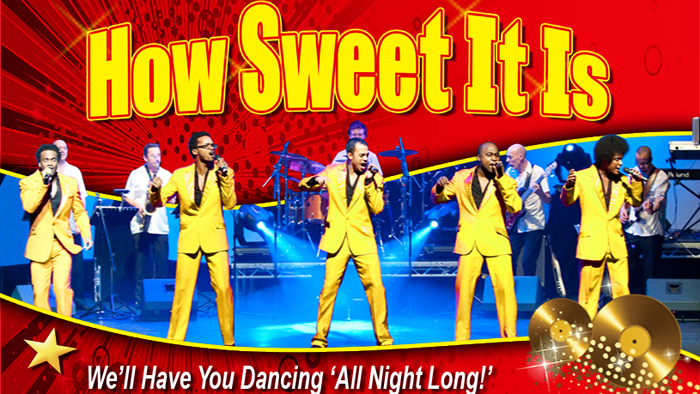 The ultimate celebration of the sweet sound of Motown is back by popular demand! Now in its 11th successive year, this stunning 100% live show combines first class music together with the slickest choreography, and an amazing band, to deliver truly outstanding performances for the best Motown experience you will ever have! This show will have you 'Dancing on the Ceiling' and features songs from legends like Lionel Richie, The Temptations, Stevie Wonder, The Four Tops, Smokey Robinson, Marvin Gaye, The Jackson Five, The Isley Brothers, Edwin Starr and many more. Let's 'Get Ready' ... to 'Go Loco ... Down in Acapulco'.